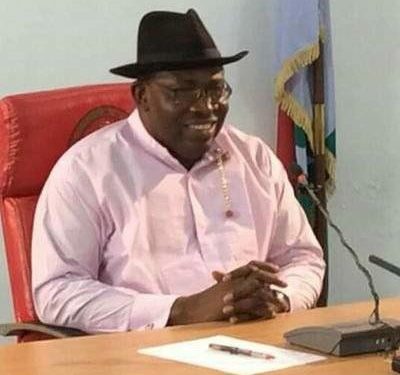 Bayelsa State Governor, Honorable Henry Seriake Dickson, has called for better business relationship between the Afro-American community and Nigeria. Governor Dickson made the call on Tuesday in Atlanta when he was conferred with the honorary citizenship of the State of Georgia, United States, in recognition of his exemplary leadership and contribution to the socio-economic development of Bayelsa State and Nigeria. A press statement signed by the Governor’s Chief Press Secretary, Francis Ottah Agbo noted that the award was jointly presented by Chairman Howard Mosby, State Rep Roger Bruce and State Rep Billy Mitchell on behalf of the Secretary of State of Georgia, Brian Kemp. The Bayelsa helmsman advocated a change of narrative, about Africa and Nigeria in particular, stating that the international community needs to invest more in Africa’s growing market. He said Africa has a lot of untapped natural resources that are of economic benefits to the International community, especially Afro-Americans. “In order to strengthen this bond of relationship, there is need to deepen collaboration between the black American community in terms of investment, education, health, energy and trade,” Dickson said. The governor said that the visit would afford them the opportunity to know the challenges and abundant resources that abound in the Niger Delta region and the need for collaboration between the region and the international community. Governor Dickson calls for a change of narrative and perception about Africa, especially Nigeria, adding that while the West is propagating this negative stories about Africa, the Chinese were flocking into Africa and investing heavily and making a lot of money in the process. “Africa has a lot to offer the world and our brothers in America need to join hands with us to take Africa to another level,” he said even as he looked forward to further interaction with the leadership of the State of Georgia and an opportunity for their support in the area of education and health,” he said. In a related development, Governor Dickson was presented with a key of the City of Stonecrest, a largely Afro-American city and one of the largest cities in Georgia by the Mayor for his visionary leadership and selfless service to the people of Bayelsa, Nigeria and mankind in general. The Governor was also presented with a Humanitarian Award by the Trinity International University of Ambassadors. The celebrated elder statesman and African-American activist and former State Rep in the Georgia State Assembly, Joe Beasley, in his remarks, said he admired the governor’s leadership qualities and his activities in Nigeria as they have seen in recent times through media reports. He said it was high time the Western World stopped the exploitation of Africa, a development he argued had underdeveloped Africa! Beasley pledged to support the governor in his drive to transform Bayelsa. The ceremony was anchored by a former member of the Georgia State Congress, Hon. Dee Dawkins-Haigler, with goodwill messages presented by State Reps, Billy Mitchell and Roger Bruce. Also in attendance were members of the Georgia State Congress, the Consul-General of Nigeria in Atlanta, Ambassador Kayode Laro, Nigeria’s celebrated fashion designer and entrepreneur, Kese Jebari alongside his wife, former Miss Nigeria 1991, Sabina Umeh, Dr Jackline Mohair of the Trinity International University of Ambassadors, members of the Bayelsa Community in Atlanta as well as Bayelsa State students on the Presidential Amnesty Programme scholarship in Atlanta.